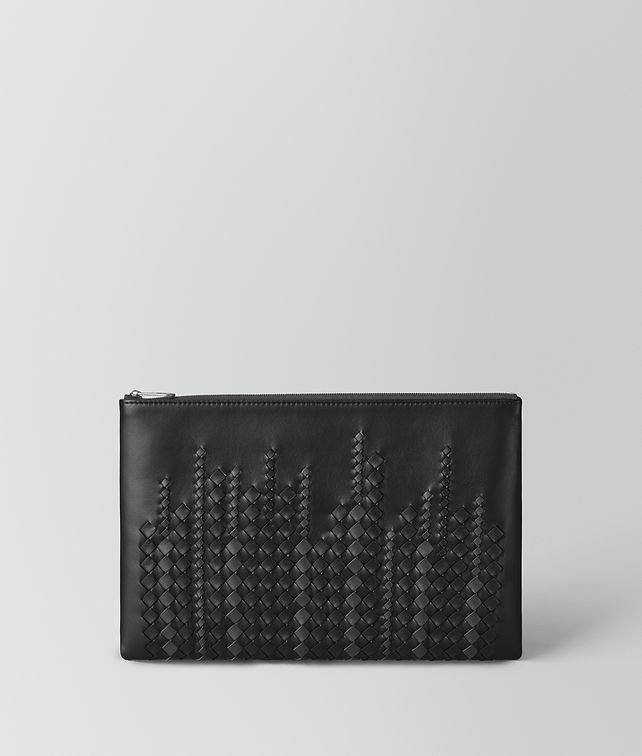 This large zippered pouch is made from soft nappa leather in the inventive new Micro-Macro workmanship, bringing a bold touch to an essential accessory. The piece features a degradé diamond intrecciato weave in graduating shades and sizes. Finished with signature brunito hardware.